DryerJack is a low-profile roof dryer duct termination vent. What does that mean? Some housing designs call for dryer vent ducts to terminate through the roof. This is where DryerJack becomes your ticket to style, substance and safety. With its innovative design, the DryerJack maximizes airflow efficiency. This gives you faster drying times, reducing your electric bill, and also allowing air to escape, unencumbered, which pushes the lint away from the heating elements in your dryer. Safety! Model DJ466 offers a low profile for more discreet venting and a streamlined look to your roof. Model DJ486 offers the same airflow efficiency, yet gives a more prominent and larger venting option. Along with substance, you get style as an added bonus. 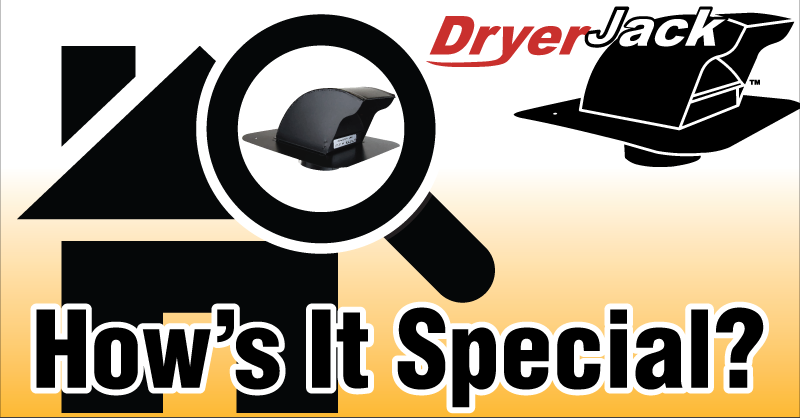 Available in powder-coated steel, not only is the DryerJack an added beautifier, it helps withstand the test of time. The powder coating adds a layer of protection and helps prevent unsightly damage.